The list below is incomplete. Please email us if you know of any other artists in Pukerua Bay. The world-famous movie director Peter Jackson was born in 1961 in Pukerua Bay and spent his childhood here. 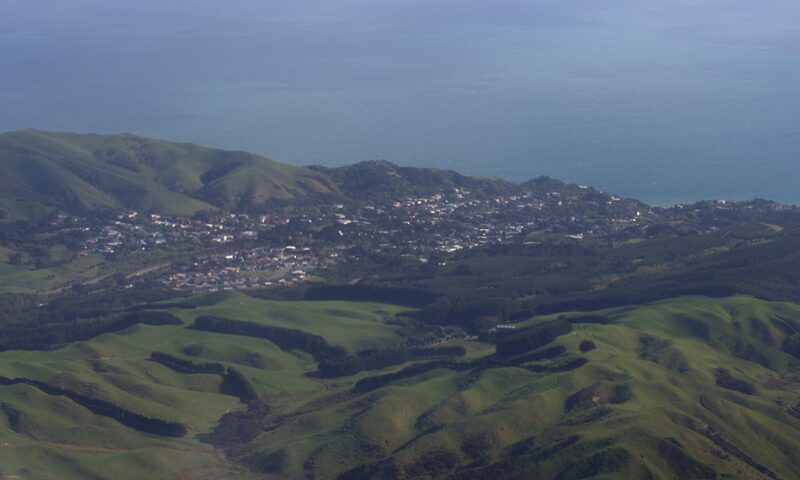 His first feature movie, Bad Taste, was partly filmed in the hills around Pukerua Bay. Also a resident of Pukerua Bay was the late Alistair Campbell, a renowned poet and novelist. He composed several critically acclaimed poetry books and also produced radio plays and a number of novels. Rob and his son Vincent dedicated many hours to “recycling” a huge macrocarpa tree in the Secret Valley into the sculpture titled “Discovery by Inspiration” which can be seen along the Secret Valley trail. An inventive flying fox arrangement was used to top and strip the macrocarpa without damaging the native bush underneath. The sculptures at the entrances to the Secret Valley were also carved by Rob from branches of the macrocarpa tree. Bruce is a professional full-time artist working in oils on canvas, acrylics and pastels, as well as black & white and colour panoramic photography. His work can be viewed at http://www.brucemortimer.co.nz. Danielle makes seaglass and shell jewellery under the name Rustic Aotearoa. She also sells at a couple of Wellington galleries. Paul offers a variety of photographic art from simple shot landscapes to re-worked pieces of art in his web shop.